The average cost of memory care in Boone County is $5,062 per month. This is higher than the national median of $4,650. Cheaper nearby regions include Hendricks County with an average starting cost of $4,894. To help you with your search, browse the 1 review below for memory care facilities in Boone County. On average, consumers rate memory care in Boone County 4.0 out of 5 stars. Better rated regions include Hendricks County with an average rating of 4.7 out of 5 stars. Boone County, which is located in central Indiana near the state capital of Indianapolis, has a population of a little under 66,000 residents, about 13 percent of whom are aged 65 and over. In this county, roughly 10 percent of Medicare beneficiaries age 65 and over have Alzheimer's disease or dementia. Families seeking memory care for a loved one have two memory care facilities to choose from, both of which are located in Zionsville. In this region, as in the rest of Indiana, memory care services are provided in dementia special care units. Over the course of a year, temperatures in Boone County range between 19 and 84 degrees, and the region gets about 187 sunny days and 102 days with precipitation annually. Families who are touring local memory care facilities in Boone County may want to find out how residents are kept comfortable when outdoor temperatures are very low. Boone County's crime rate is notably lower than the national average, indicating that this is a relatively safe region. On a 100-point scale, with a low score indicating less crime, violent crime in the region is rated 22.7, compared to the national average of 31.1, and property crime is rated 24, which is about 14 points lower than the national average. This may appeal to safety-minded families seeking out local memory care. Overall living expenses in Boone County are nearly 20 percent higher than the state average and about 5 percent higher than the national average. Healthcare expenses are about 4 percent higher here than they are in the state as a whole but 13 percent below the national average. The county's cost of living may be a consideration for families who are seeking budget-friendly memory care options. 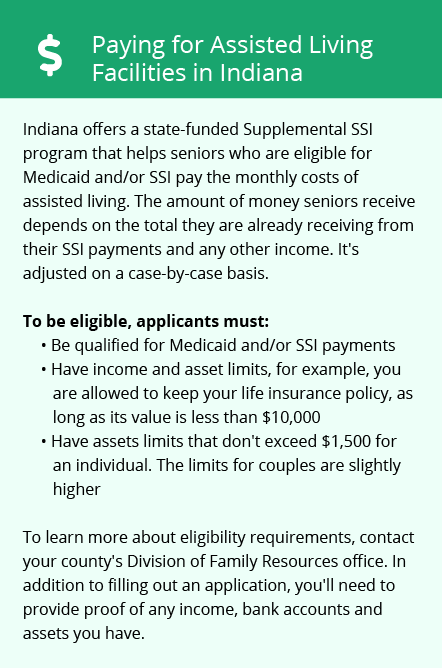 Indiana seniors do not pay state income tax on any money they receive from Social Security, but all other sources of retirement income are fully taxable. This may impact how much money can be budgeted toward memory care services in Boone County. Memory Care costs in Boone County start around $5,062 per month on average, while the nationwide average cost of memory care is $4,800 per month. To see a list of free memory care resources in Boone County, please visit our Assisted Living in Indiana page. 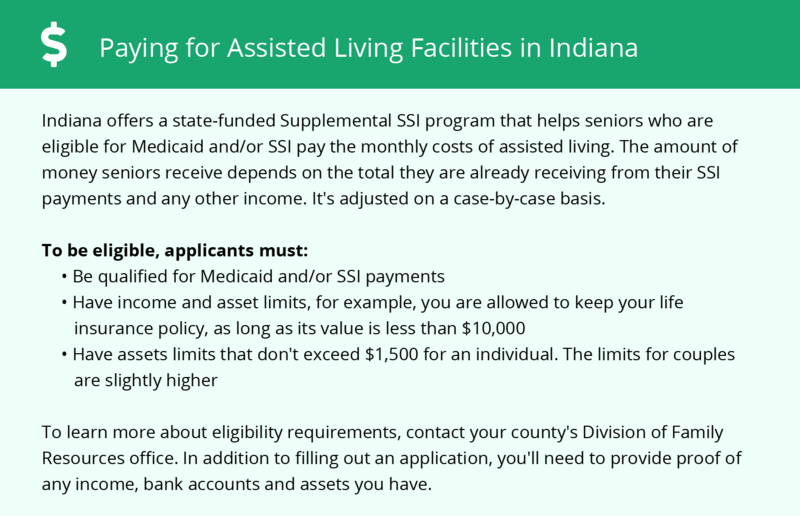 Boone County-area assisted living communities must adhere to the comprehensive set of state laws and regulations that all assisted living communities in Indiana are required to follow. Visit our Memory Care in Indiana page for more information about these laws.